Your guide will meet you at Saranda port from where the tour begins. Next you will drive for about 35 minutes to Butrinti Archeological Park across Ksamil town. As you drive to the archeological site you can enjoy the panorama over Vivari Channel and learn about the Ali Pasha military outpost built around the 19th century to guard Corfu strait. 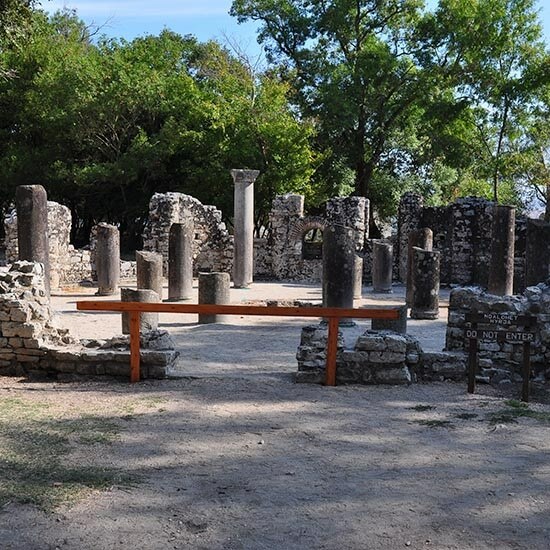 In the archeological site you will be guided through its well preserved monuments beginning with the Venetian tower and continuing through the green vegetation to the temple of Asclepius and Agora. Next we walk to the Baptistry, Episcopal Palace, Church, the castle and Museum. The settlement goes as far back as the Bronze age believed to have been founded by the Trojan prince Heleni, son of King Priam. In the beginning it served as a trading post between the inlanders and the merchants sailing from Corfu. Later on it grew into a small town where the centre of the city was the temple dedicated to Asclepius, God of Medicine around the 3rd century BC. During the Roman Period the settlement became a Roman colony changing significantly. After the Roman expansion the city grows again during the Byzantine period when it became an episcopal centre. Later on during the Venetian rule the city shrunk in size and importance to become just a small fisherman village. 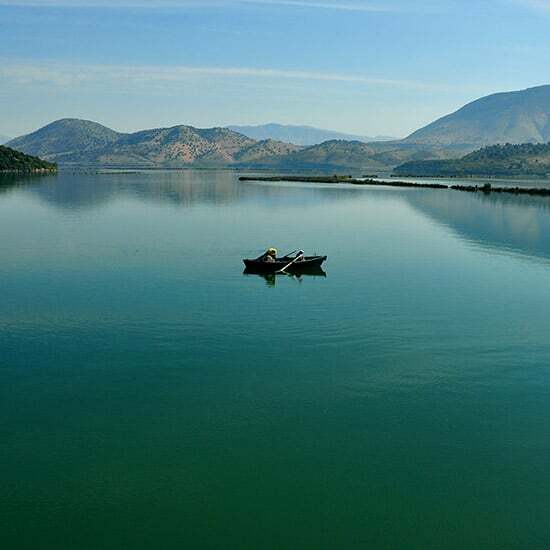 The last period to be inhabited was during the 19th century when this area was part of Ioannina principality under the rule of Ali Pasha Tepelena. In the end of our visit we take a coffee break in the Archeological park and return to the city of Saranda where our tour ends.